Keep fossil fuels in the ground! Industry consultants Schlumberger have evaluated the unconventional oil potential of the Horse Hill-1 well – and increased the estimate of unconventional oil available. “Schlumberger has estimated a gross overall oil in place (“OIP”) for the Jurassic section of the well to be approximately 271 million barrels of oil (“mmbbls”) per square mile. “A total of 255 mmbbls gross OIP lies within the tight limestone and mudstone plays of the Kimmeridge, Oxford Clay and Lias. The balance is in the Upper Portland Sandstone discovery previously announced. This figure of 255 mmbbls per square mile can be compared with the OIP estimated by Nutech Ltd and previously reported in April 2015 as gross 158 mmbbls per square mile. “It is important to remember that these figures are estimates and not confirmed reserves. But regardless of the size of the oil field, there’s no justification in digging it up. 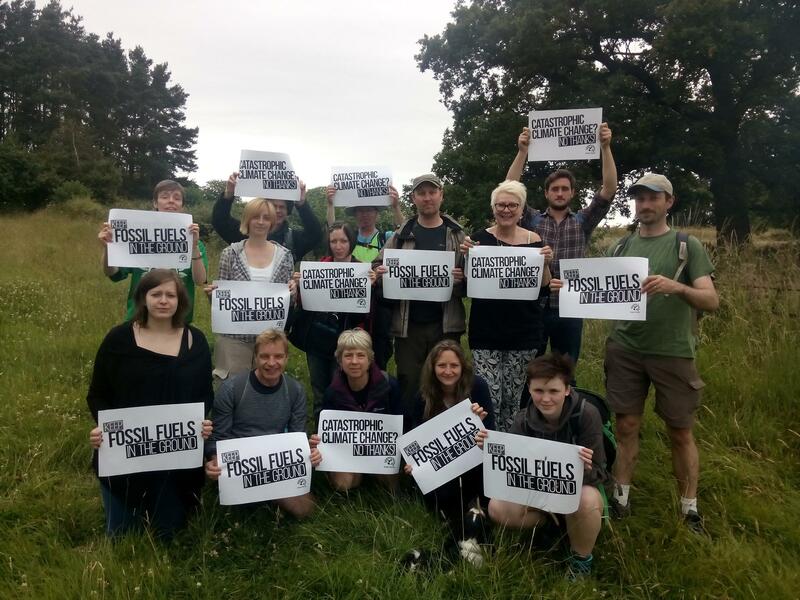 “We oppose the expansion of both conventional and unconventional oil exploitation in East Surrey and across the Weald. “To prevent climate change we need to leave between two thirds and four fifths of our fossil fuels in the ground. We need urgently to rethink energy policy, reduce energy consumption, and speed up the transition to a clean, green economy based on renewable energy. The permit application for flow testing is now with the Environment Agency and if permitted, flow testing is expected this Autumn.